Bruins GM Peter Chiarelli announced earlier today that the Bruins have assigned forward David Pastrnak to the Providence Bruins. 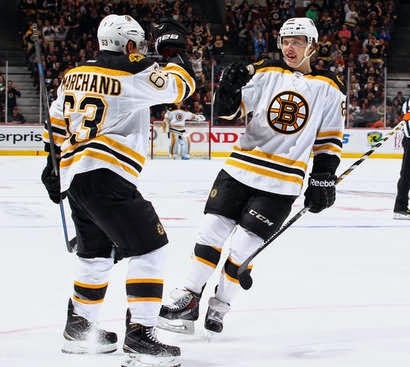 The 18-year-old forward laced up for his first NHL game against the Pittsburgh Penguins and tallied his first NHL point against the Anaheim Ducks, assisting on Brad Marchand’s goal. Prior to being recalled, Pastrnak has five goals and 13 assists in 17 games with Providence. He has played five games with the big club, and is only available for four more games without burning the first year off of his entry-level contract. Because of how young he is, it is possible that the Bruins want Pastrnak to bulk up and develop his skill more down in Providence before pulling him up to be on the roster permanently. Pastrnak had a plus rating for his five games with the Bruins, often playing alongside Marchand and Patrice Bergeron.